Howard Maniloff - Tabas and Rosen, P.C. Howard R. Maniloff, joined Tabas & Rosen, P.C. as an associate in 1985 and became a shareholder in 2001. His practice concentrates on medical receivables and personal injury litigation. 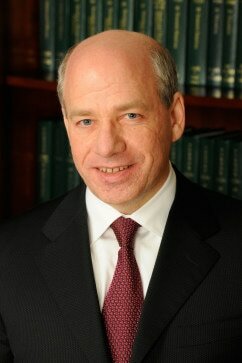 Mr. Maniloff received a Juris Doctor degree from the University of Pittsburgh in 1984, where he was awarded the Esther Teplitz Memorial Award for Law and Medicine. In 1981, he received a Bachelor of Arts degree in political science from the University of Pennsylvania. Mr. Maniloff is an active litigator and has been admitted to practice in Pennsylvania (1984) and New York (2003). He has also been admitted to the bars of the U.S. Court of Claims, the U.S. Court of Appeals for the Third Circuit, and the U.S. District Court for the Eastern District of Pennsylvania. He is a member of the Pennsylvania and Philadelphia Bar Associations, the Pennsylvania Association for Justice, the Philadelphia Trial Lawyers Association, and the American Association for Justice. Mr. Maniloff is counsel to the Philadelphia Chapter of American Association of Healthcare Administrative Management and a board member of the Philadelphia Chapter of the American Civil Liberties Union. Mr. Maniloff is a frequent lecturer on a variety of legal issues affecting medical providers. Recent topics presented to hospitals and fellow attorneys include ERISA, Act 6 (Pennsylvania Motor Vehicle Insurance), Act 44 (Pennsylvania Workers Compensation), Pennsylvania and Federal Fair Debt Collection Practices, and New Jersey Automobile Insurance.